The scent of vanilla is arguably one of the most recognized aromas in the world. It has been used for thousands of years in scented products such as candles and soaps. The complex aroma is sweet and inviting. It's a staple ingredient in many fragrance and essential oil blends. Many misconceptions have come along with vanilla's popularity. There are several different forms of vanilla and some low-quality oil brands market it as an essential oil. Here, we'll explain how the vanilla fragrance is extracted from the vanilla plant and whether it's actually an essential oil. The vanilla plant is known by the botanical name Vanilla planifolia. It is part of the plant family Orchidaceae and is categorized as a type of orchid. The vanilla plant is native to Mexico and Central America. The main chemical component in vanilla is vanillin. The largest producers of vanilla products are Madagascar and Mexico. All vanilla products are produced using the vanilla bean seed pods. The vanilla vine plant can be identified by its gorgeous yellow orchids. Seed pods take the place of these flowers once the flowering season has ended. The vanilla pods look similar to long beans resulting in the term 'vanilla bean'. These seed pods are harvested and then subjected to varying extraction methods to produce vanilla products. In the fragrance industry, vanilla scent is classified as woody, oriental and gourmand. Vanilla boasts a creamy warmth and soft finish that makes it a good base note in perfumes. Vanilla blends well with citrus oils such as sweet orange, tangerine, and lemon. It also heightens the floral nature of essential oils such as rose. Vanilla evens out the piquant edge of spicy oils such as ylang ylang and black pepper. Is Vanilla An Essential Oil? Naturally, you'd think the stunning scent of vanilla makes it an ideal candidate for use as an essential oil. It offers a complex, yet stable aroma and is used in a host of culinary dishes without negative side effects. Unfortunately, there is no such thing as pure vanilla essential oil. The reason vanilla can't be an essential oil is due to the nature of its plant parts and extraction method limitations. The International Organization for Standardization has ruled that essential oils must be derived from natural materials and extracted through either steam distillation or dry distillation. Many citrus essential oils are derived using cold pressing, which is a dry distillation process. All other extraction methods do not produce essential oils. Oils in vanilla beans can't be extracted using steam distillation, thus it cannot be an essential oil. 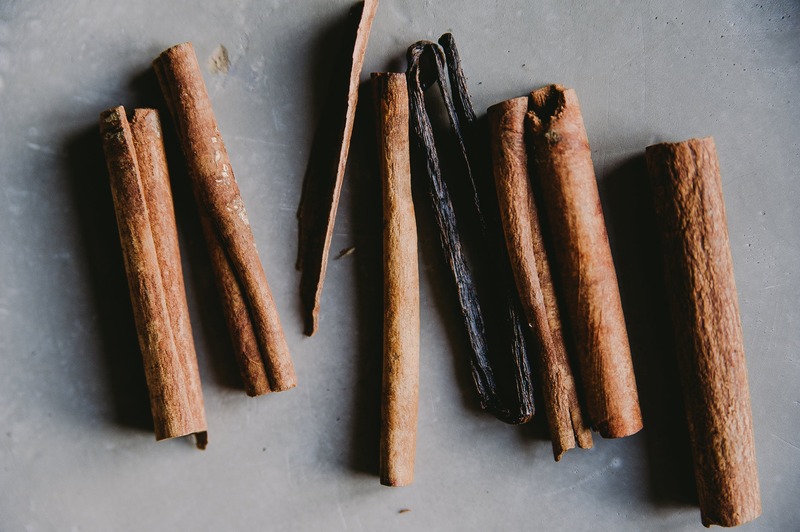 Pure vanilla extract is used in culinary schools and derived through a different process than essential oils. The vanilla pods are pulverized and then soaked in an alcohol solvent. The mixture is aged for varying amounts of time and the entire process can last for months. The Food and Drug Administration or FDA strongly regulates all food substances. As a result, vanilla extract must contain a volume ratio of 35% ethanol. Every gallon of the stuff must also use at least 13.35 ounces of vanilla bean seed pods during production. Vanilla oil is the result of simply soaking the vanilla beans in carrier oil such as coconut oil or almond oil. The oil infusion process elicits aromatic compounds that lend fruity and floral notes. Vanilla oil is commonly used in skin care products and lip balms, but it’s not certified as edible. The most common type of vanilla for essential oil use is vanilla absolute. 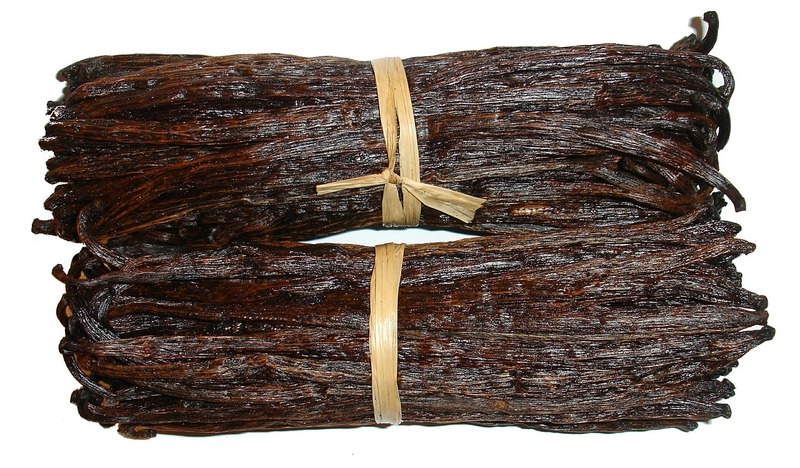 The production process involves using a solvent to release the aromatic substances of vanilla. The two most commonly used solvents are ethanol and Carbon dioxide. High quality vanilla absolutes use C02 as it doesn't leave residue and is most similar in nature to steam distilled essential oils. In addition to vanilla, there are many absolutes used in the essential oil industry including rose and jasmine. Vanilla absolute is not edible and instead used in perfumes and beauty products. It is thicker than many essential oils and the concentration of vanillin varies. Absolutes have the highest concentration of vanillin compared to other vanilla products. Carbon dioxide produced options can have vanillin in concentrations up to 12%. A similar product is known as vanilla oleoresin. The vanilla beans are soaked in isopropanol instead of ethanol. The result is a semi-solid vanilla blend that is most commonly used in candles and soaps. Since vanilla is not a pure essential oil, the health benefits are not as readily documented as alternatives such as tea tree oil. Vanilla absolute can only be used topically or in scenting. This further limits the health benefits of the most concentrated vanilla option. Regardless, vanillin has shown some promise in skin care and mental health treatments. Research has shown vanillin boasts antimicrobial properties that can target diseases such as E. coli and listeria. In a study published by the Journal of Applied Microbiology, vanillin inhibited the reproduction and growth of these disease cells. The vanillin also had fewer cellular level side effects than medical alternatives. The digestive health benefits of vanilla are still being researched and there are currently no completed human or animal studies. Vanilla is commonly used in skin care products such as face creams and lotions due to its aromatic nature. Scientists in Taiwan developed a study to examine whether vanilla had properties outside fragrance that could improve skin conditions. The research was published in the Journal of Agricultural and Food Chemistry and the team of scientists focused specifically on vanilla's ability to treat psoriasis. Psoriasis is an inflammatory skin condition where skin cells rapidly reproduce. The disease results in thick layers of skin that can be red, scaly, and itchy. The Taiwanese researchers applied vanillin topically and orally on mice with psoriasis for a period of seven days. Mice that received doses of 100 mg/kg showed significant reduction in skin inflammation. The vanillin also decreased the infiltration of immune cells in skin tissue that causes thick layers of skin cell build-up. Vanilla also has high concentrations of antioxidants that can help to improve overall skin health. Some of the largest skin-damaging agents are free radicals. These compounds invade the body causing damage on the cellular level. Free radicals are caused by a host of factors including environmental pollution and smoking. Free radicals have been linked to premature aging including the development of fine lines and wrinkles. They can also cause cell mutations that lead to the development of cancer and neurological disease. Vanilla antioxidants can target these compounds and eliminate them in the body. Vanilla can help to reduce feelings of sadness and depression thanks to its invigorating aroma. 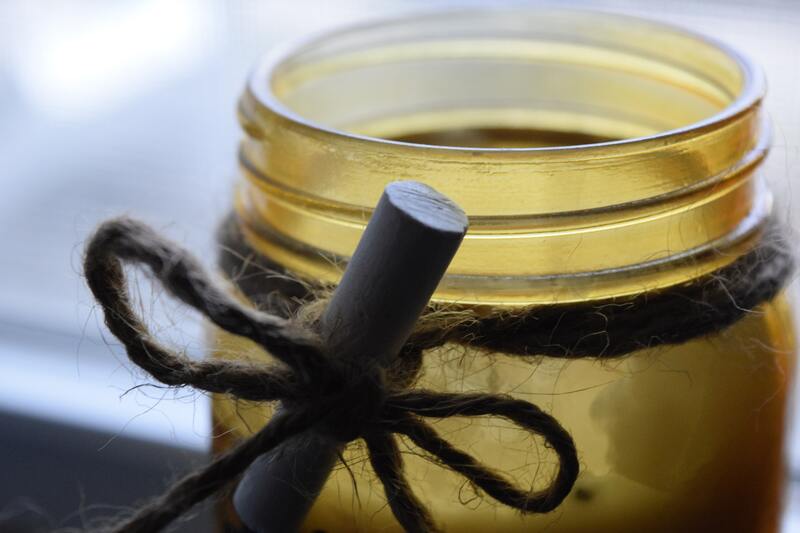 The vanilla smell invokes feelings of nostalgia and induces sensations of warmth and comfort. A study published in the Indian Journal of Pharmacology examined the antidepressant nature of vanillin in mice. The researchers examined 30 mice, which were divided into five groups over a period of 10 days. Three of the groups served as placebo or control groups and the other two were experimental. One experimental group received vanillin in a dose of 10 mg/kg and the other received doses of 100 mg/kg. The results showed that mice treated with the higher dosage of vanillin showed significantly lower depressive symptoms. The researchers found that doses of 100 mg/kg of vanillin had antidepressive effects comparable to fluoxetine—an antidepressant medication sold under the names Prozac and Sarafem. Vanillin may also work to protect brain health and prevent serious brain diseases. One Indian study conducted in 2015 found scientific evidence that supports vanilla's mental boosting properties. The researchers focused on the use of vanillin in treating neurological diseases such as Parkinson's in vitro. The results showed that the vanilla scent worked to prevent the reproduction of a chemical compound known as rotenone. Rotenone is a natural insecticide and pesticide that causes toxicity in the human brain. This toxicity can result in neurological disease such as dementia and depression. Vanillin not only prevented the progression of these toxic cells, it also resulted in the death of the cells in certain conditions. The refreshing scent of vanilla is perfect for adding a sweet touch to your laundry and linens. Make your own laundry spray or air freshener by combining vanilla absolute with a few essential oils. Combine 6 drops of vanilla absolute with 5 drops each of sweet orange, sandalwood, and white fir essential oils in a small spray bottle. Add 2 ounces of lavender hydrosol and shake well before use. Gently spritz your furniture, sheets, and laundry with the mixture. Alternatively, you can add 4 drops of vanilla absolute to wool dryer balls and sue as normal. Vanilla is a great addition to skin care products and may treat dry skin or alleviate certain skin conditions. Add 10 drops of vanilla absolute to your existing body or face lotion. You can also add other healthy skin oils such as jojoba oil, rose oil, and bergamot oil. Keep the dilution to around 2 percent and apply after a warm shower. The sweet scent of vanilla helps you reset after a long day. Combine 5 drops of vanilla absolute with 5 drops of cedarwood essential oil. Add to a personal inhaler stick and smell the aroma when you feel irritated or drained throughout the day. You can also add the drops to your home or car diffuser. Breathe deeply and enjoy the sweet fragrance as your troubles melt away. Vanilla essential oil doesn't exist because its oils cannot be extracted using steam distillation or dry distillation methods. Any company that markets vanilla as an essential oil either doesn't know the facts or is misleading consumers with synthetic products. Always do your research when purchasing essential and fragrance oils. While there is no true pure vanilla essential oil, vanilla still has a lot to offer when it comes to fragrance. Vanilla extracts are ideal for flavoring dishes from ice cream to baked goods. Absolutes are staples in perfume and skin care products. The scent is warming and uplifting so it can help you overcome feelings of sadness.